Though many areas through the U.S. are still in the throes of winter, it’s never too early to look ahead and start planning for a spring remodel of your home. Your basement, in particular, can become susceptible to water damage come springtime: even though most newer roofs are built (or are supposed to be built) to withstand snow loads of 15 to 30 pounds per square foot, when the snow melts at a rapid rate come springtime, inadequately insulated basements could become flooded more easily than you think. With that in mind, here are just a few pro tips to remodel your basement with a sense of modern style and sustainability for spring. ICFs, or insulated concrete forms, are growing in popularity, especially in basement foundation and insulation applications. ICFs make any basement feel finished as well as cozy, comfortable, and warm. In fact, according to the U.S. Department of Housing and Urban Development, ICF walls can save homeowners 20% to 25% on annual heating and cooling costs. And while ICFs certainly require an upfront investment, they can go a long way in your basement project and in improving overall sustainability. “Start by removing loose material with a wire brush. Then clean off any white powdery “efflorescence” with masonry cleaner. The goal is to fill every pinhole to create a continuous waterproofing membrane. Add a second coat after the first dries,” says Family Handyman. In a typical house, about 20% to 30% of the air that moves through the duct system is lost due to leaks, holes, and poorly connected ducts. Even if you aren’t planning a full remodel or finishing project, taking some time to evaluate the current state of your HVAC system can help to increase sustainability and add a comforting atmosphere to your basement. It can also help to improve air quality and minimize the risk of future breakdowns. Talk to your local HVAC company to determine where you can make changes and improve efficiency. Finally, those looking to add a higher level of functionality to their finished basement may want to consider installing elements of an in-law apartment. A half bathroom, a kitchen sink or countertop, or even a kitchen island can bring your basement space together and maximize functionality. To add some extra modern flair, stainless steel appliances are the way to go. Stainless steel is a generic name for several different steels that all are a minimum of 10.5% chromium by mass. A stainless steel oven and/or refrigerator can turn the space into an area where guests look forward to spending their time. Not to mention, adding this level of basement functionality can significantly increase the value of your home as a whole. Ultimately, be creative and think about your personal and real estate goals before making final decisions about your basement renovation. 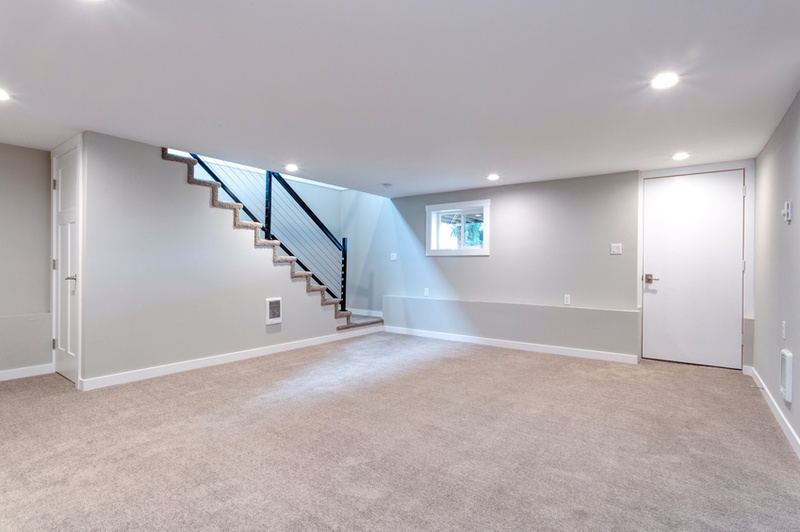 Waterproofing the space beforehand can make or break your project, so it’s essential to speak to a professional to ensure that your basement remodeling dreams can become a reality.